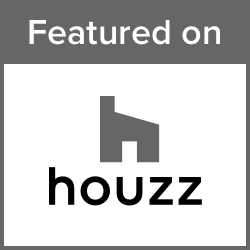 Houzz is the leading platform for home remodeling and design resources by connecting millions of homeowners and professionals. Design by BSB provides the easiest way for people to find inspiration, get advice, and buy the perfect products to turn their ideas into reality. LinkedIn is more specifically for the business-minded community. Registered members establish networks of people they know and trust professionally. Facebook connects people online and allows users to get news and be inspired by liking and following people or “pages”. Designs by BSB enjoys connecting with our clients by sharing design stories, tips, trends and really delicious recipes! Twitter users send, read and reply to short 140-character messages called “tweets” that contain text, links, images and videos. Pinterest allows users to share visually by “pinning” images found on the internet (or uploading their own). Discover and follow our boards and feel free to pin any of our images from the site to your own board! Google Plus users connect with people by adding them to their “circles”, join “communities” to participate in areas of interest, follow “collections” and “pages” to receive curated content.